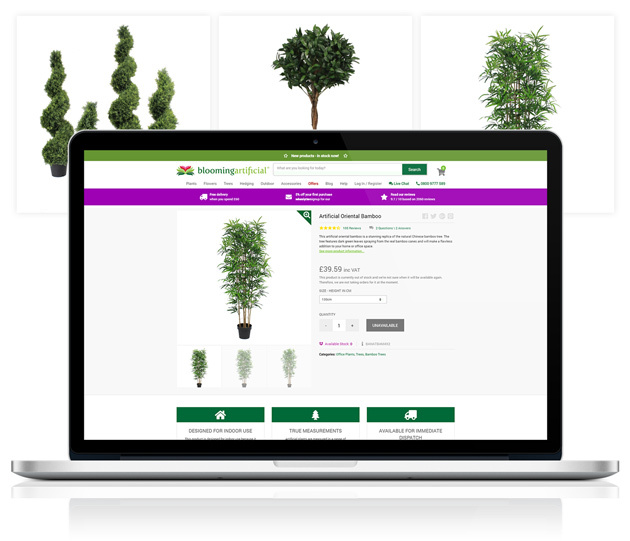 Blooming Artificial are market leaders in artificial plants, flowers and trees. They had a steady stream of visitors to their website, but sales were falling short of expectations. Although people were landing on the product pages, many would leave before adding anything to the cart. We analysed existing data to provide recommendations, based on product positioning and tuning the product pages to work harder. We kicked things off with a full conversion audit. From experience, we soon identified a few areas that we knew needed attention – the main one being the conversion rate of the product pages. We confirmed this by using a heat map that flagged up the most popular areas of the site. 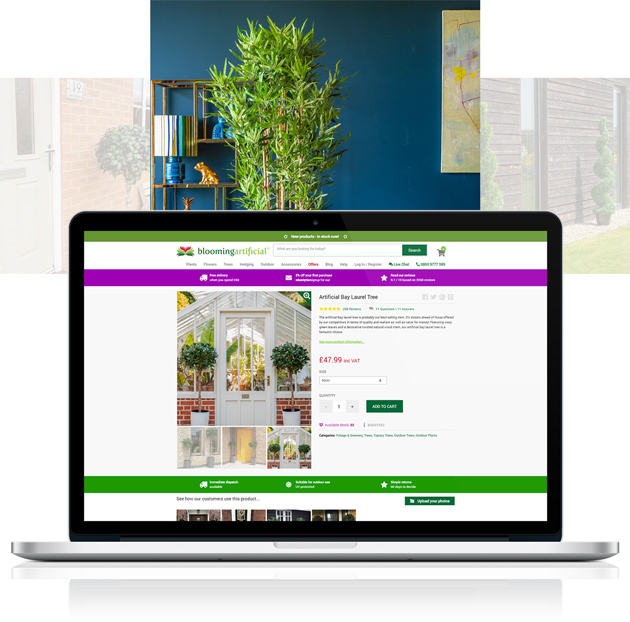 To optimise the product pages, we isolated elements of the pages and split tested them, showing different versions to visitors and watching to see what happened. It turned out that there was a clear winner – the answer was to change the images. The product pages all showed the plants against a white background. The harsh contrast and lack of context made the plants look fake – in reality, it’s surprisingly hard to tell the difference between a Blooming Artificial plant and a real one. As a result, we shuffled things around with the sizing and design, and based on our recommendations a photographer came in to take brand new lifestyle images of the products against a colourful backdrop of modern interiors and outdoor spaces. Our changes resulted a 28% increase in product revenue and a huge 48% increase in “add to cart” interactions from site visitors – exceeding expectations from the initial brief.